from pages 323 - 325; 328 - 329 of the section entitled "Summer 1973: The Cave"
copyright 1991 by the Foundation for A Course in Miracles©. I even had a very powerful dream of Jesus coming to me the night before I went to Jerusalem for the first time. And yet all the while, I never once consciously thought of the figure associated with these places, not to mention his central place in the monastic life to which I was aspiring.
. . . summer of 1973, I made plans to visit the Abbey of Gethsemani, the Trappist monastery I had originally thought to enter, and many of whose monks I had become friendly with. . . . as I was about to leave for the airport, Bill [Thetford] gave me an index card with one of the workbook lessons typed on it. I arrived in Louisville late that evening, and reached the monastery the next morning . . . I ended up spending a week at the monastery, during which time Jesus finally 'showed up' for me. It occurred very early Sunday morning. I was up about an hour before the monks' first prayer service, which was to begin at 3:00 A.M., and was continuing my first-time reading of the Course manuscript. That morning I was reading the closing pages of the text. As I began the paragraphs beginning with the words "Deny me not the little gift I ask," it suddenly dawned on the conscious, non- intellectual part of my mind, who the first person of the Course truly was. I had known, of course, but not really. And now suddenly I did know. Tears welled up inside me as I made my way down to the Church for Matins. The Abbot had given me a stall midst the monks to allow me to participate directly with them during prayer, and at the close of the service I remained in the dark and silent church while the monks filed out for their period of private prayer. It would be about two more hours until the next service would begin, and I looked forward to being alone in the church. After a time I began to hear what was now becoming a familiar inner voice, which I always identified with God. But now, all at once, it occurred to me in a moment I shall never forget, that the voice was more personal than I had ever before experienced, and that the person was Jesus, the same Jesus whose gentle, loving, and authoritative voice was the source of A Course in Miracles. I could not contain the tears that streamed down my face, nor the inner joy I felt. It clearly had been, and still has remained, the central experience of my existence here on earth. I remained at the monastery a few more days, basking in the warm glow of this new friendship with my ancient friend, whose name I have known for all time. The day I was to leave the monastery I stood in the visitor's lounge, awaiting the monk who was to drive me to the airport. I stuck my hand in my jacket pocket and discovered the index card Bill had given me. 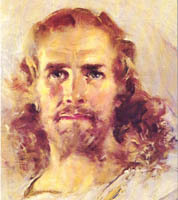 I could scarcely believe what I read, from Lesson 303 . . .
As I continued the second part of the lesson, I knew that in my heart of hearts I had finally welcomed the Son of God known as Jesus, as well as my true Self: two selves here, yet one Self in reality. [Bill] thought perhaps there was an important scroll to be found there, buried in a cylinder. . . . While the full details of this should perhaps await another book, I shall briefly summarize my experience with the cave. There was an interior entrance within the cave itself, that led, so we hoped, to the buried resting place of this unknown object. The abbot planned on sealing this entrance, which would then become the tabernacle and home of the Blessed Sacrament. I persuaded him, however, to delay this sealing for a couple of weeks, to allow me to do some exploring. He graciously consented, and so I began a four-day "dig" (August 9-12). . . . But I found nothing after three days except some old coins and pottery shards . . . . Nonetheless, the process itself was an extremely meaningful one for me; my awareness of Jesus' presence deepened as I dug deeper into the inner recesses of the cave, obviously a personal symbol of going deeper into my mind. . . . I decided on Saturday, the third day of digging, that Sunday would be my final attempt, regardless of what was found or not found. And then, as we had arranged previously, I would call Helen and Bill on Monday. I awoke early Sunday morning from a very happy dream . . . I then walked up the small hill on the way to the cave. The sun was just rising, and in its pristine brightness I could almost see the risen Jesus, and felt the rising joy of his resurrected life in me. I knew this morning would bring something. I entered the interior of the cave for the last time, and not too long afterwards, while digging in an area I had already been through, found a stone-carved ring. It had etchings on it that I could neither decipher nor recognize, though it seemed ancient indeed. I felt a great joy, even though this was clearly not what Helen or Bill envisioned. But I felt then that the ring symbolized a gift from Jesus to me, symbolic of a wedding between our two selves. For me it was the culmination of the entire summer, beginning with my Gethsemani experience. I left the cave shortly afterwards, overflowing with gratitude for my wonderful gift."